Three years ago I was introduced to a series of comics that would forever change my perception of what the medium could be. This was American Elf by the prolific James Kochalka, a book that exposed the intimacy of everyday humdrum life through a daily comic diary. The practice of creating such a diary has become routine for some creators like Erika Moen, Marc Ellerby and Jess Fink. It's a tough gig - choosing to expose yourself rather than masking your personality and feelings behind a story, but I can only imagine it's cathartic on some level. 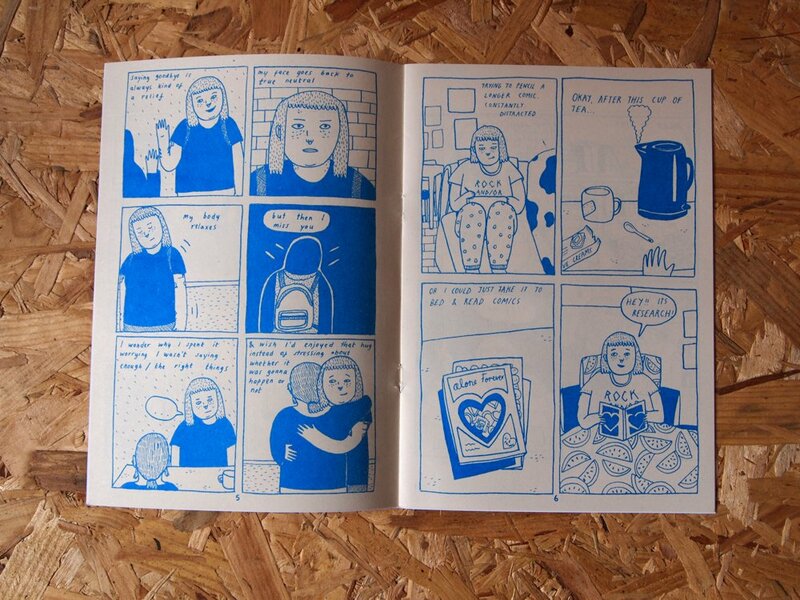 Enter Emma Thacker - a British small press illustrator who uses her Boring Comics zine as a vehicle to lay out her everyday anxieties, thoughts and emotions. The book is artistically raw, often a little haphazard - flagged in an introduction by Thacker who admits that she couldn't keep drawing herself consistently enough. She does emotion well and although the art can be a little janky, it oozes charm. Like Kochalka, Thacker does inconsequential mundanity, which is in itself a punch line, and emotive strips where she offers relatable tid bits ("I'd love to go to this gig, but it also means I'd have to actually go there"). It's a cosy read - kettle, custard creams, bed, looking a rabbits from the top deck of a bus. 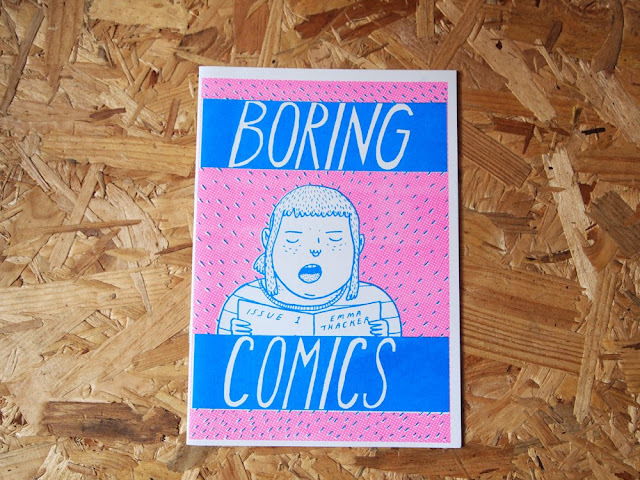 Boring Comics is put out by Black Lodge Press, who specialise in queer and feminist comics. I don't know much about these guys, but other comics they do like Into the Black have caught my interest. Will there be a Boring Comics #2? Let's hope so because I've just felt like I'm getting to know Thacker through her work and would love to continue joining her on her illustrated journey through life.